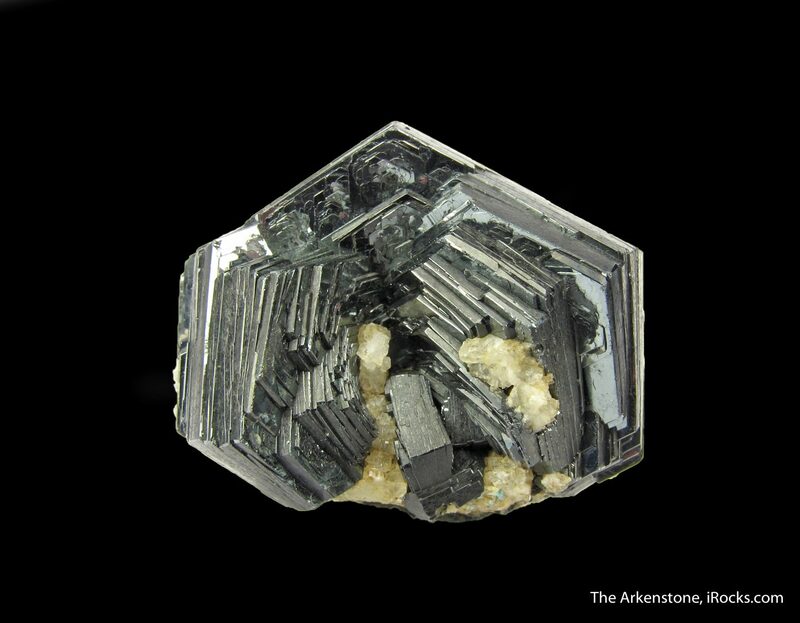 “Hematite, 'Iron Rose,'” St Gotthard, Uri, Switzerland. © Rob Lavinsky, www.iRocks.com. Used with permission. 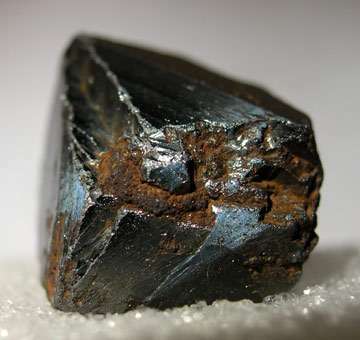 Hematite has a long history of use as a pigment. 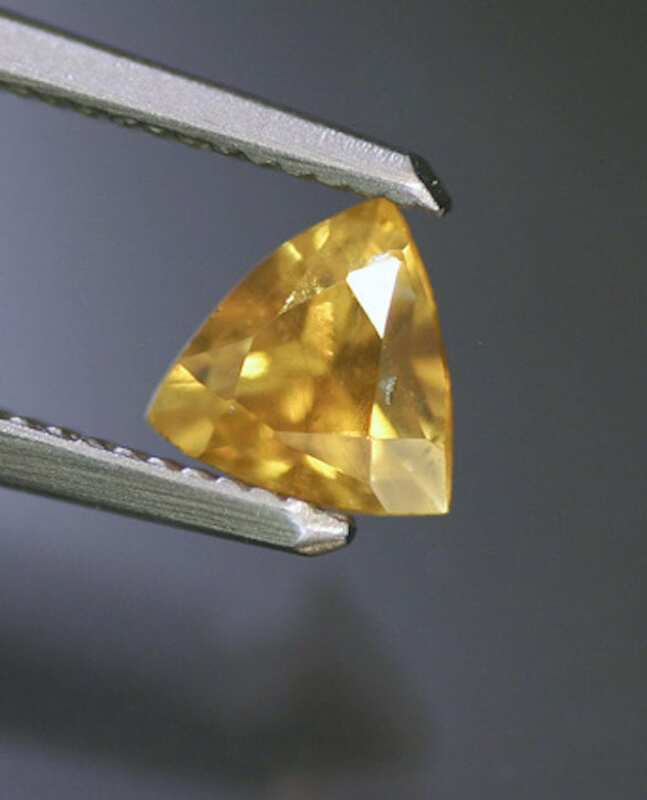 As a gemstone, this material is often carved but very rarely faceted. Despite its association with blood and the color red, hematite’s color can range from black and metallic gray to brownish red in thin slivers or crystals. Colors Steel gray to black; blood red in thin slivers or crystals. Massive material is brownish red. Crystallography Hexagonal (R). 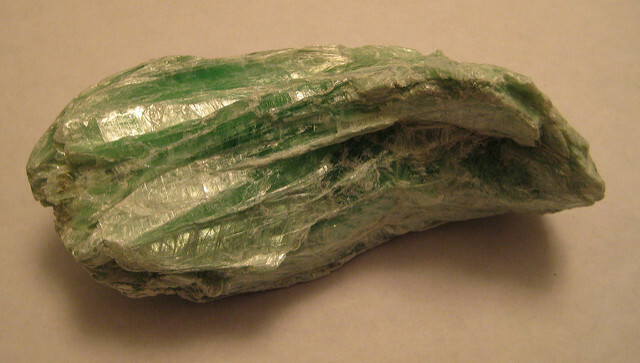 Crystals in wide variety of forms, often lustrous or tarnished. Massive; compact; fibrous; reniform (kidney ore); micaceous; stalactitic; earthy. 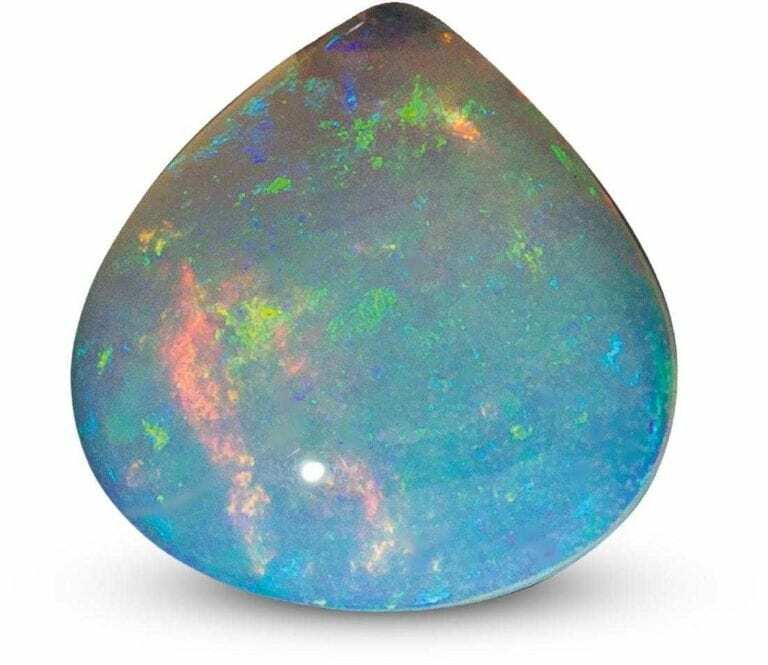 Luster Metallic, sub-metallic, dull; glistening in micaceous variety. o = 3.22; e = 2.94. Uniaxial (-). From the Greek hema, “blood,” due to the red streak (powder) and appearance of some specimens. A major ore of iron; usually in sedimentary deposits in thick beds; also in igneous rocks, metamorphic rocks, and lavas (deposited from vapor). “Hematite,” Elba, Italy, by Gunnar Ries. Licensed under CC By-SA 2.5. Red ochre clay contains hematite. People have used this material since the Stone Age for decoration and writing. Of more recent use, rouge, a polishing compound widely used on silver and gold, is powdered hematite. 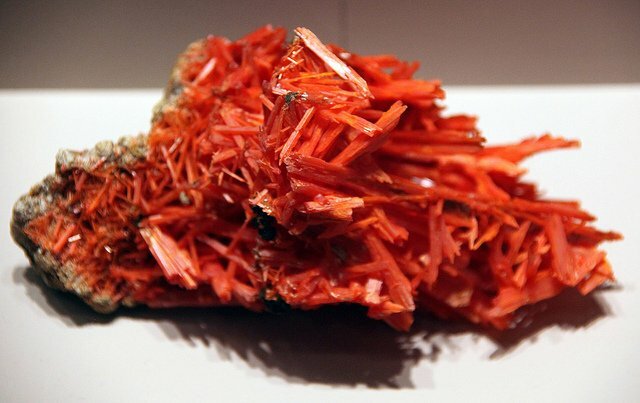 Of course, people have also mined this mineral as a source of iron. 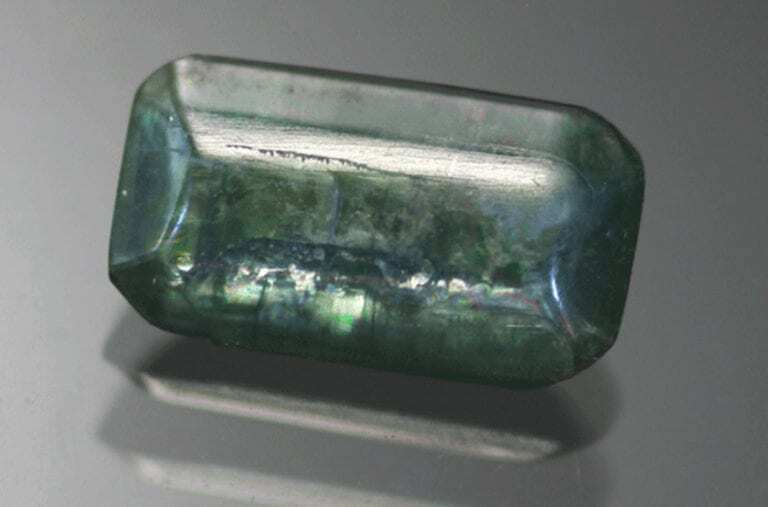 For jewelry purposes, gem cutters often make cameos, intaglios, carvings, beads, or cabochons from hematite. 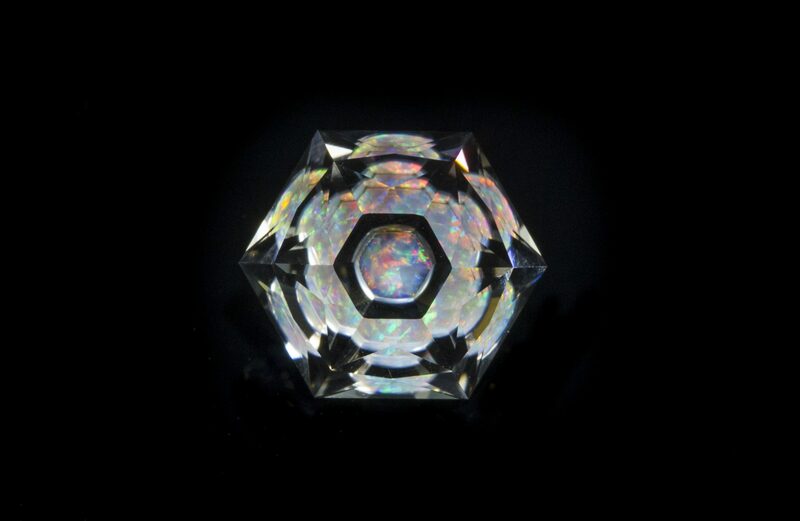 Occasionally, gem enthusiasts may want opaque, sub-metallic gems faceted like marcasite, with flat bases and few facets. 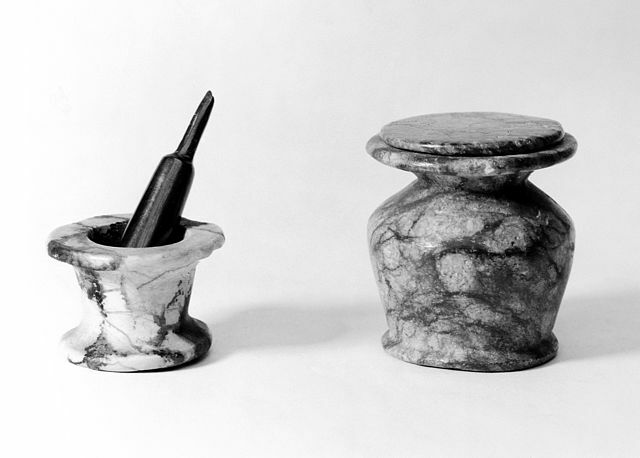 “Ancient Egyptian Kohl pot miniature pestle and mortar,” pot and mortar made from marble, pestle made from hematite, by Fæ. Photo from Wellcome Images. Licensed under CC By 4.0. Hematite’s deep red or brownish red streak is characteristic and diagnostic. A massive material consisting of a mixture of hematite, martite, and gangue minerals occurs near Ouro Preto, Brazil. This granular material has a dark brown, rather than a red, streak. 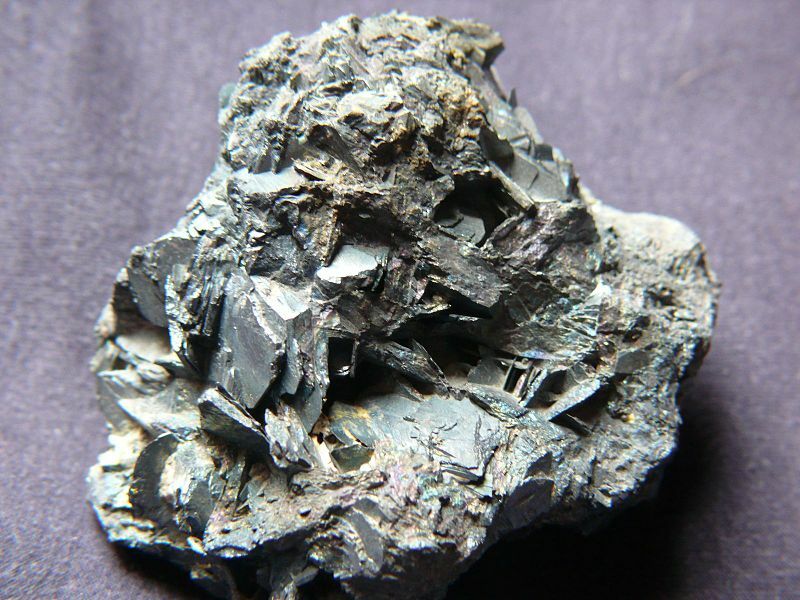 Although similar in appearance to psilomelane, a manganese oxide, hematite conducts electricity weakly, unlike this lookalike. Natural hematite isn’t magnetic. Hematine or “magnetic hematite” is a synthetic, magnetic simulant with a misleading name. Although its streak is red, the magnetism exposes it. 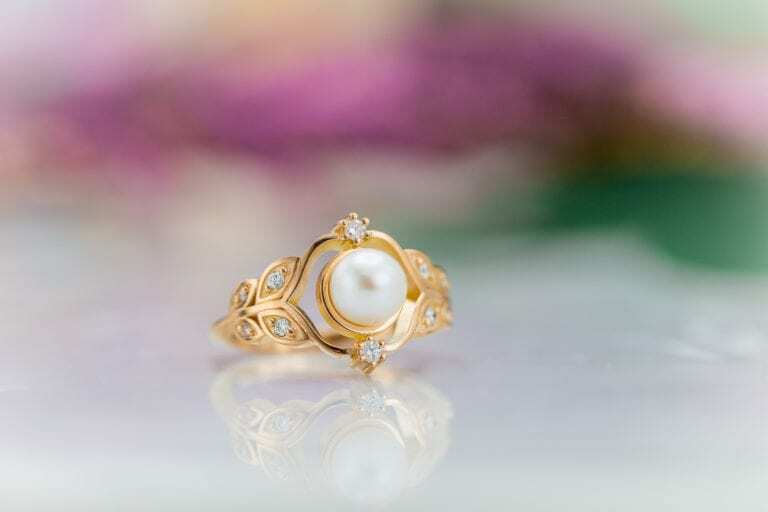 Gem carvers can also make cameos, intaglios, and cabs from hematine. England: kidney ore from Cumberland area. Brazil: fine crystals, also massive material from a locality near Ouro Preto. United States: Alaska; Arizona; Michigan Lake Superior region, Minnesota; Missouri; New York; Pennsylvania; South Dakota; Tennessee; Wisconsin; Wyoming. “Hematite,” Rio Marina, Island Of Elba, Italy. © Rob Lavinsky, www.iRocks.com. Used with permission. Massive material available in very large, solid pieces, good for cutting beads, cabs, etc. of any desired size. Although reasonably tough with a hardness between 5 and 6.5, hematites are also brittle. Avoid mechanical cleaning such as steam or ultrasonic processes. Instead, use a soft brush, mild detergent, and warm water for cleaning. 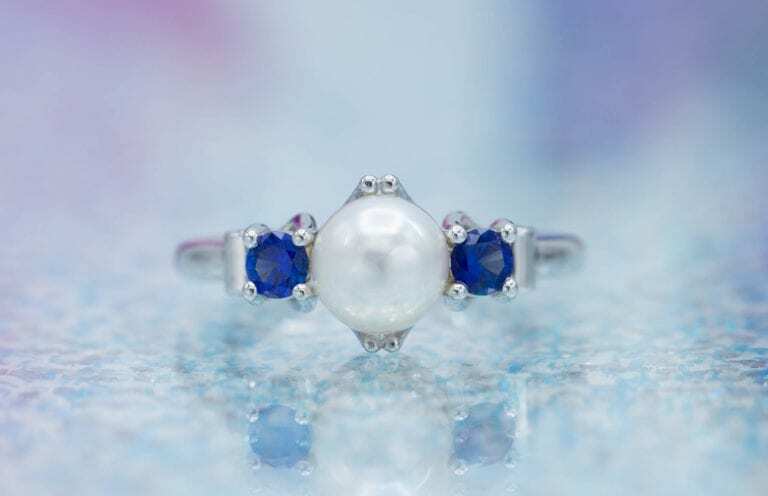 Consult our gemstone jewelry cleaning guide for more recommendations. 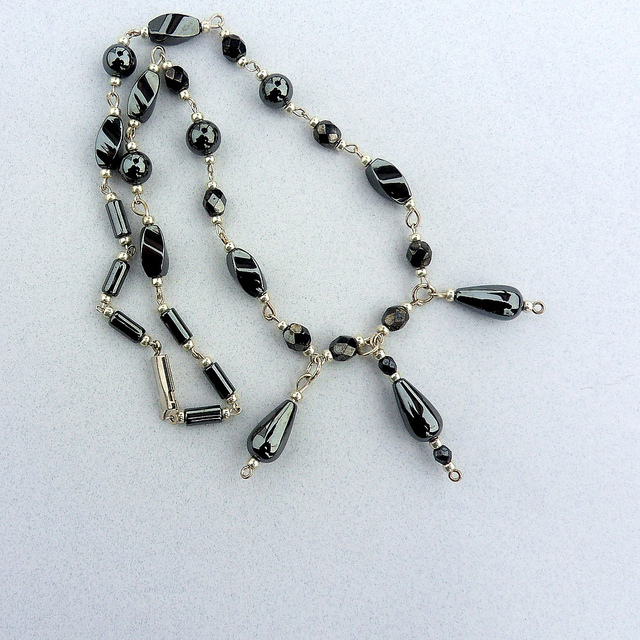 “Hematite Necklace” by Jennifer C. Licensed under CC By 2.0.